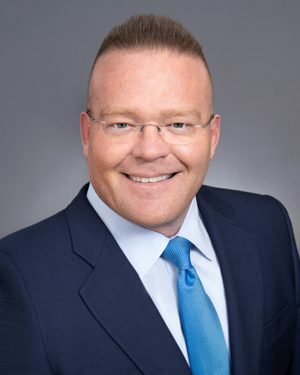 March 14, 2019 — NORWALK, Conn.–(BUSINESS WIRE)–Brendan Naughton, General Agent of Charter Oak Financial, a Massachusetts Mutual Life Insurance Company (MassMutual) firm, was sworn in today as the 89th president of the MassMutual General Agents Association. The General Agents Association is a national group of MassMutual General Agents (GA) whose insights and influence help shape the company’s approach to its approximately 15,000 field advisors and staff, and whose mission, in part, is to serve as both a constructive force within MassMutual and help people secure their future and protect the ones they love. Mr. Naughton has served on the General Agents Association for eight years, heading several advisory committees before being named Vice President in 2018. He is the first Charter Oak General Agent (GA) to be elected to the presidency since the firm was formed. With Charter Oak since 2004, Mr. Naughton is Charter Oak’s seventh General Agent, named to the position in 2009. His leadership trajectory comprises national recognition both as an advisor and a manager, including MassMutual’s Sales Manager of the Year Award and consecutive Chairman’s Trophies for Charter Oak’s growth. Mr. Naughton is also a Fairfield County Business Journal 40 Under 40 alumnus, and, under his leadership, Charter Oak has been recognized as a Top Workplace in CT for the past six consecutive years. Mr. Naughton is involved in several charitable causes, including the Charter Oak Fund, of which he is a cofounder. He resides in Newtown, Connecticut with his wife and their three daughters.